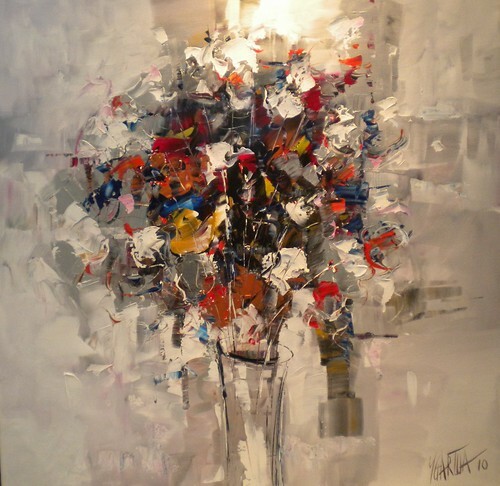 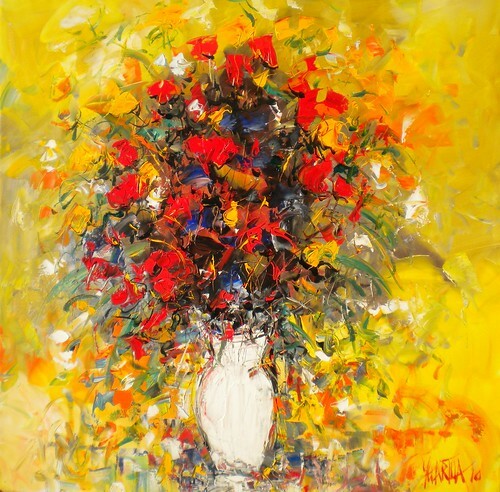 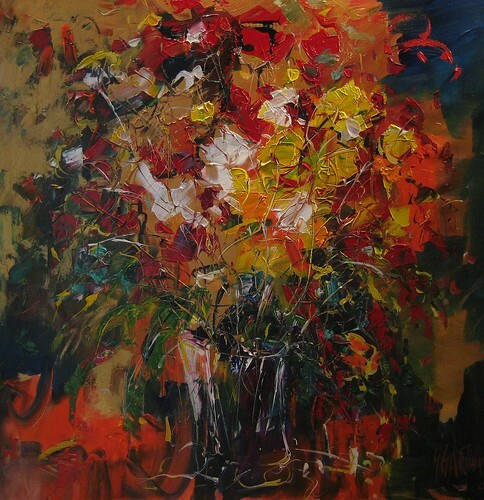 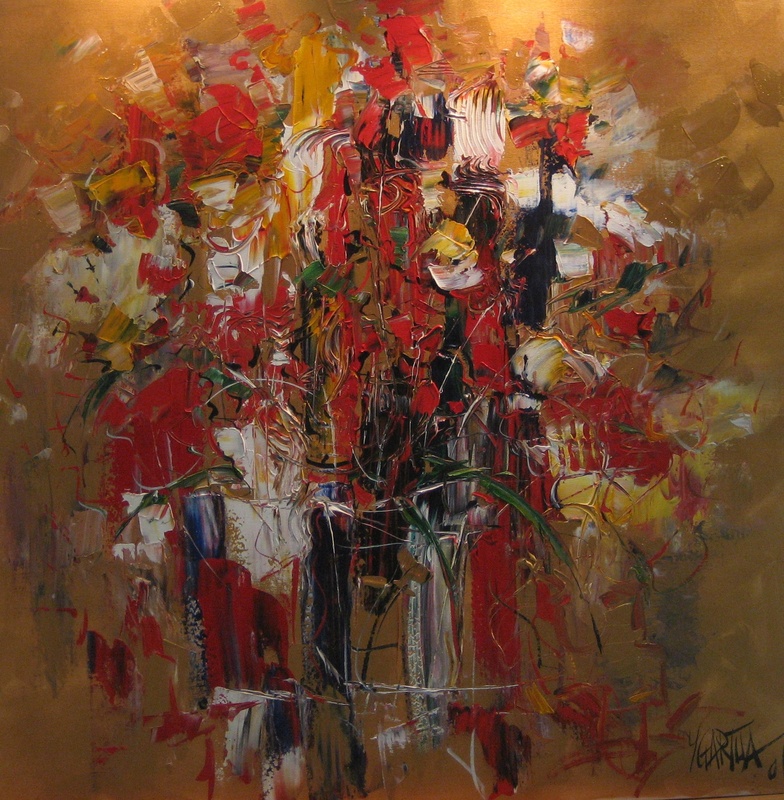 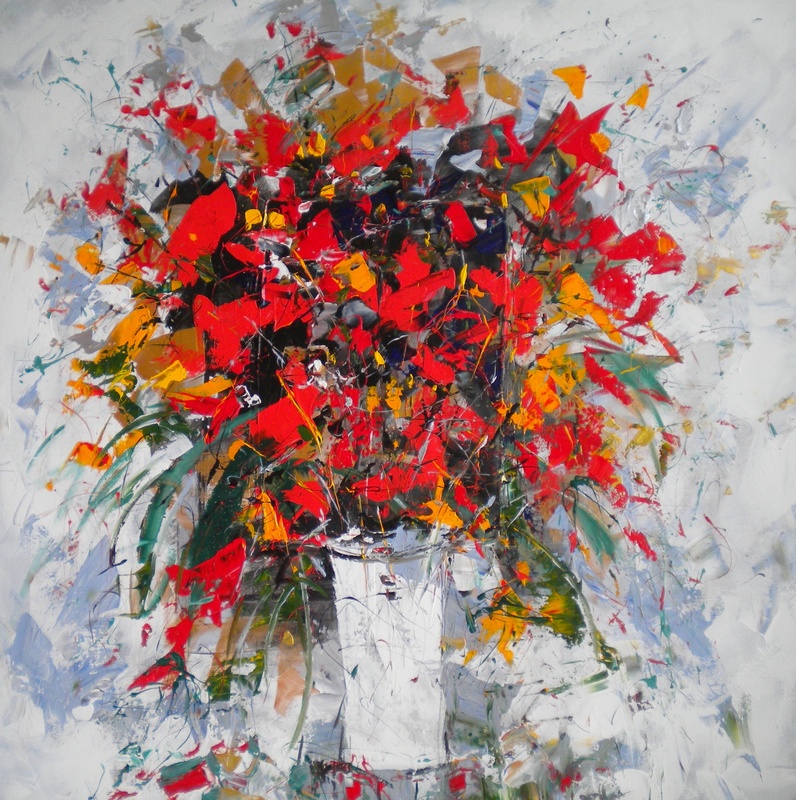 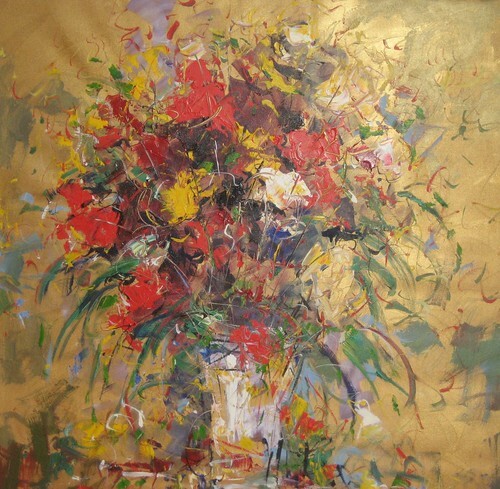 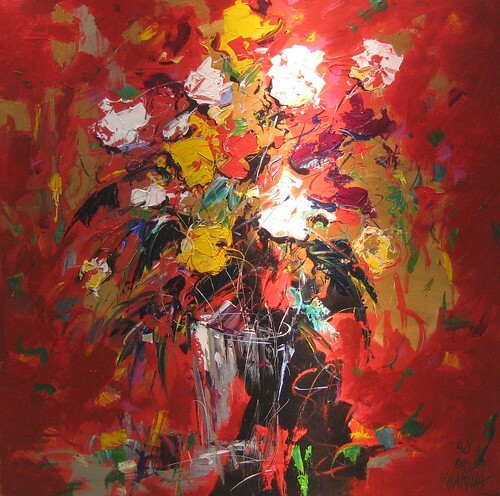 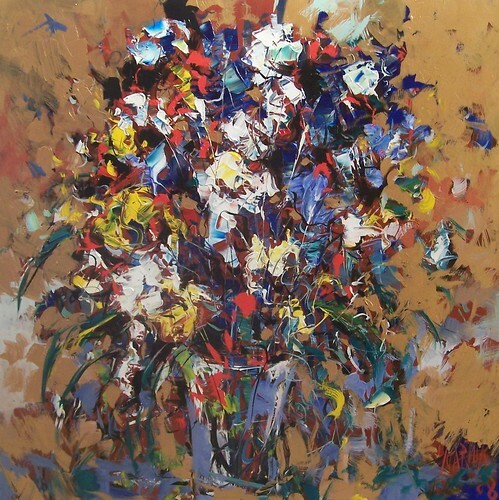 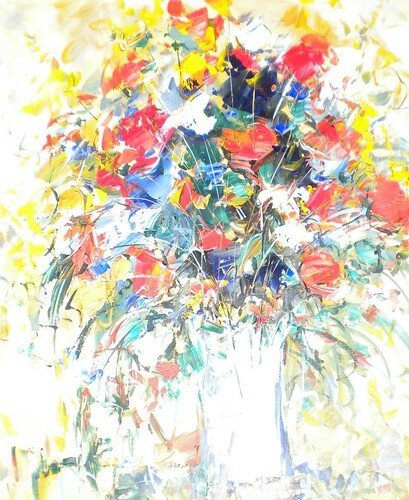 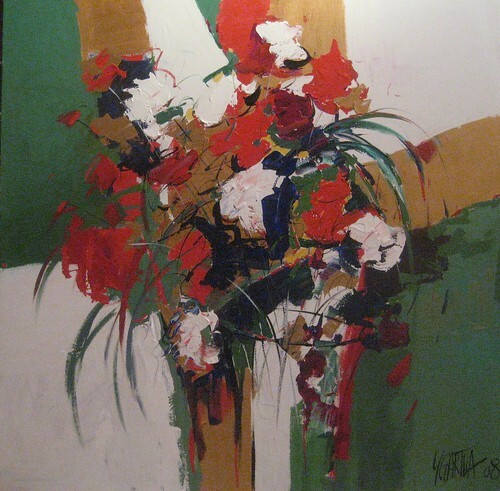 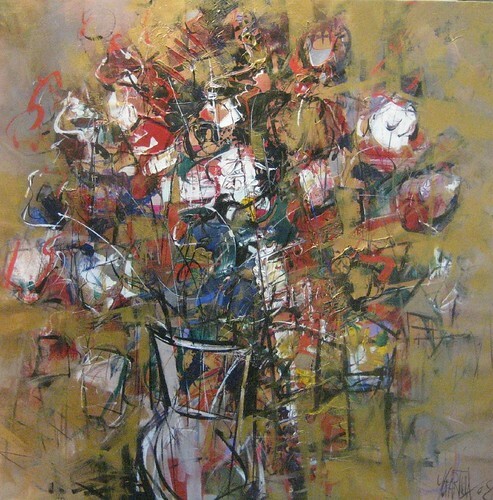 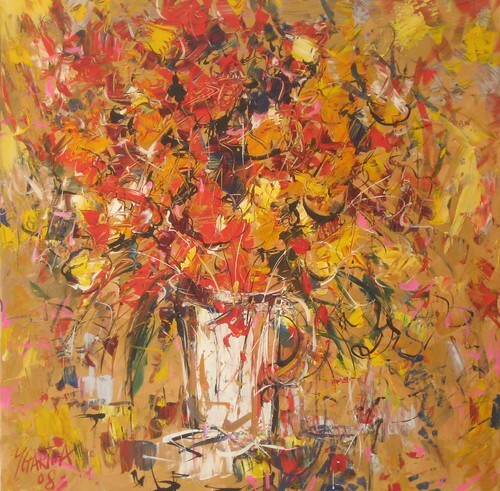 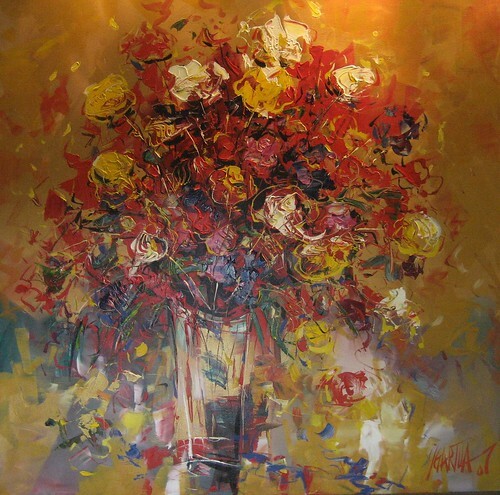 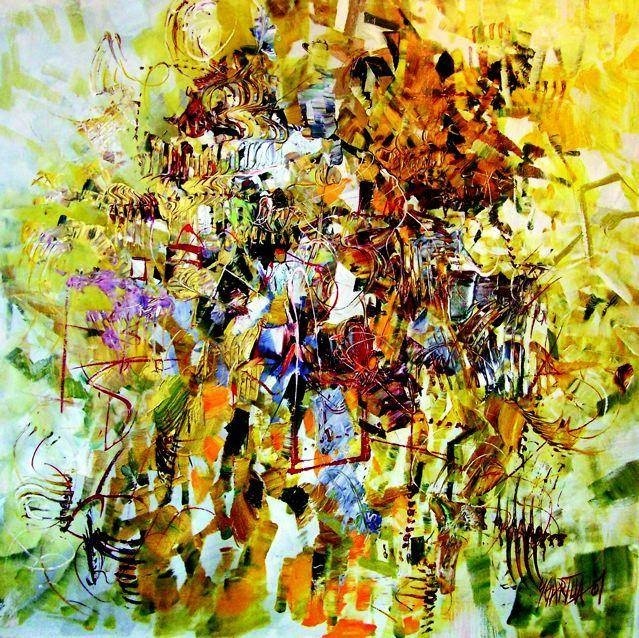 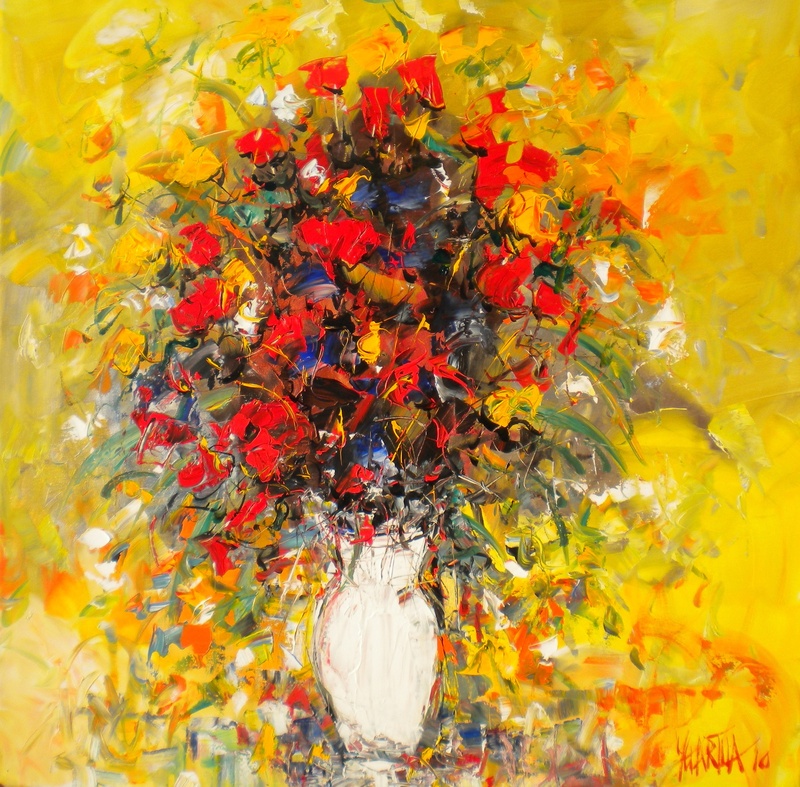 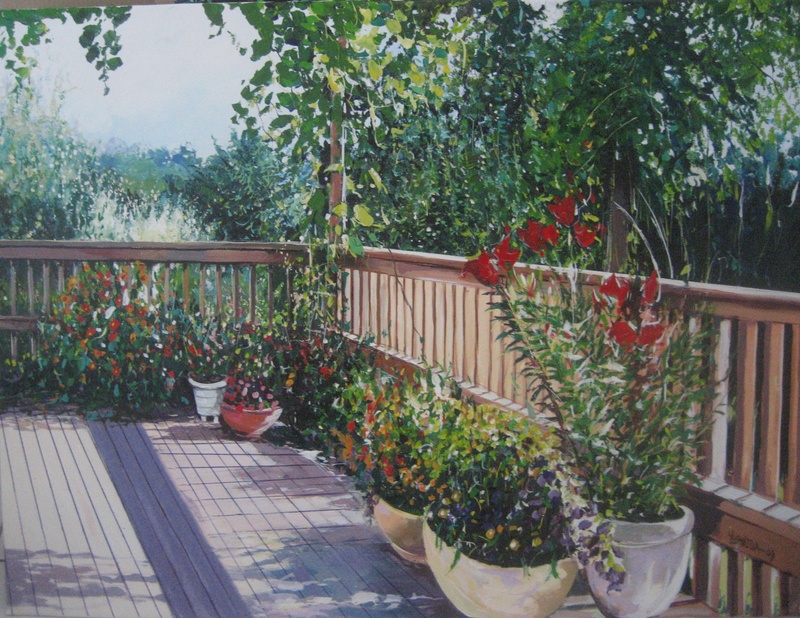 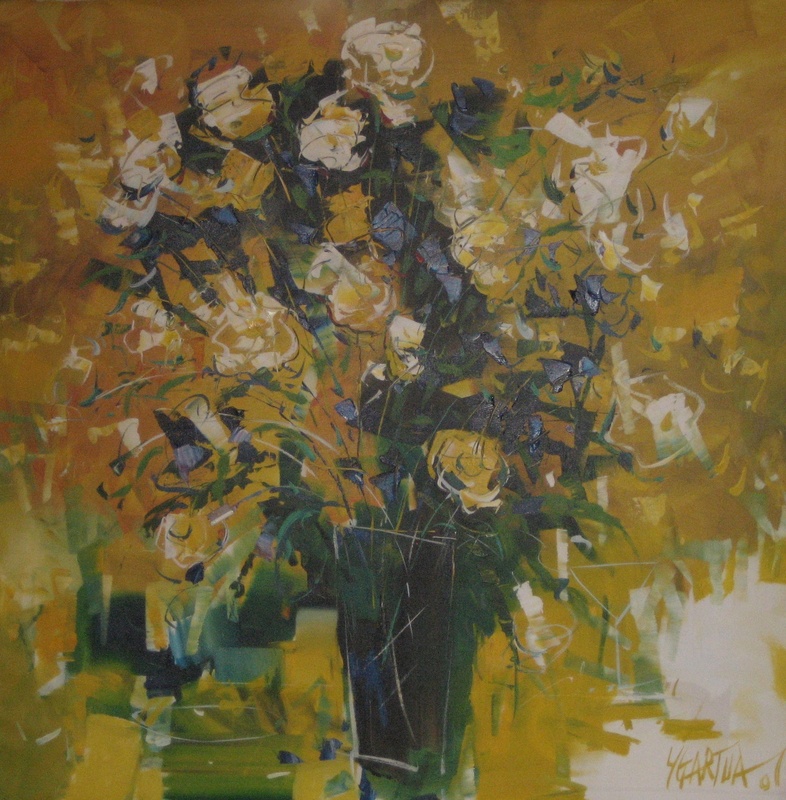 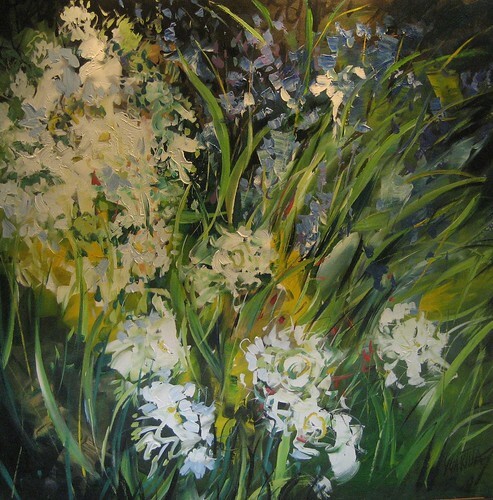 Floral art allows painters to be empowered by the true beauty that nature provides us with. It gives us the perfect combination of colour, she is the expert and whatever nature does it works. 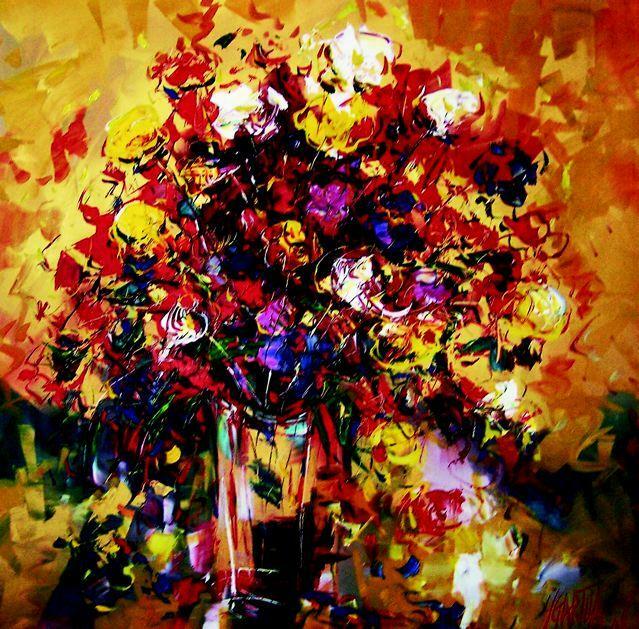 All an artist needs to do is follow her rules and everything looks exotic, or in harmony–whatever your palette may be she’s got it. 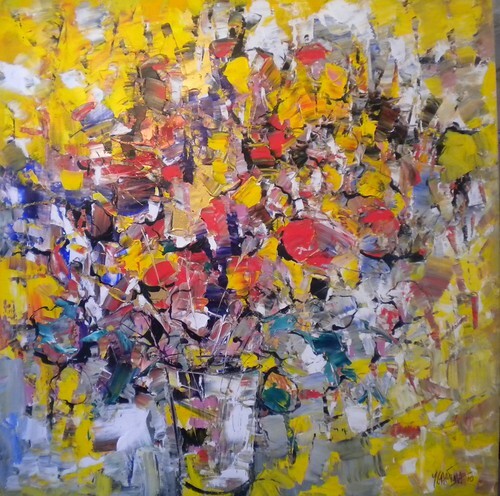 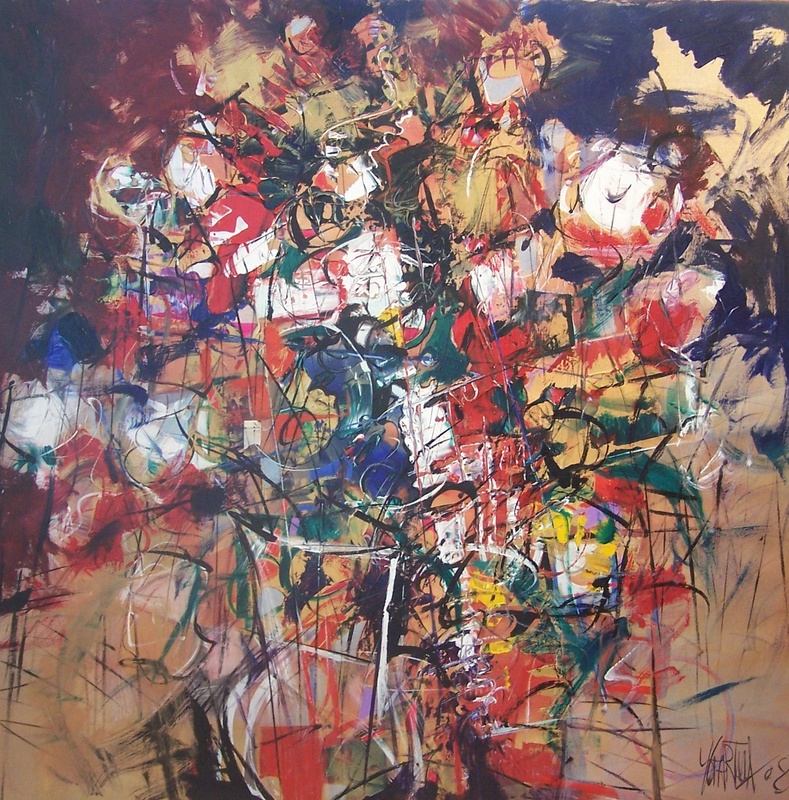 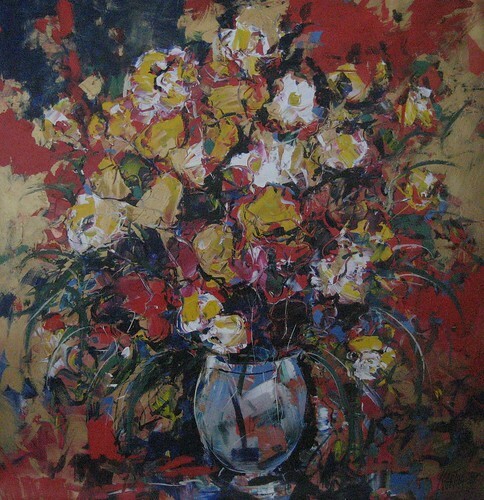 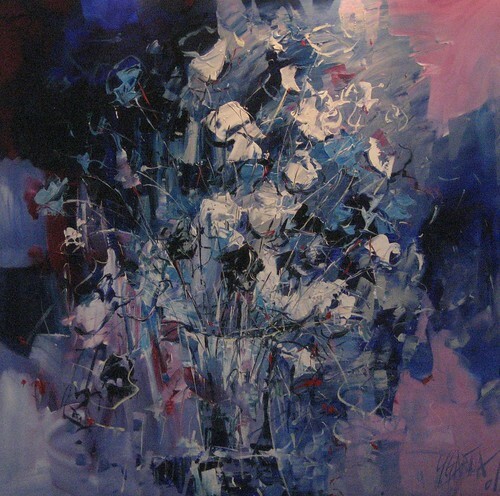 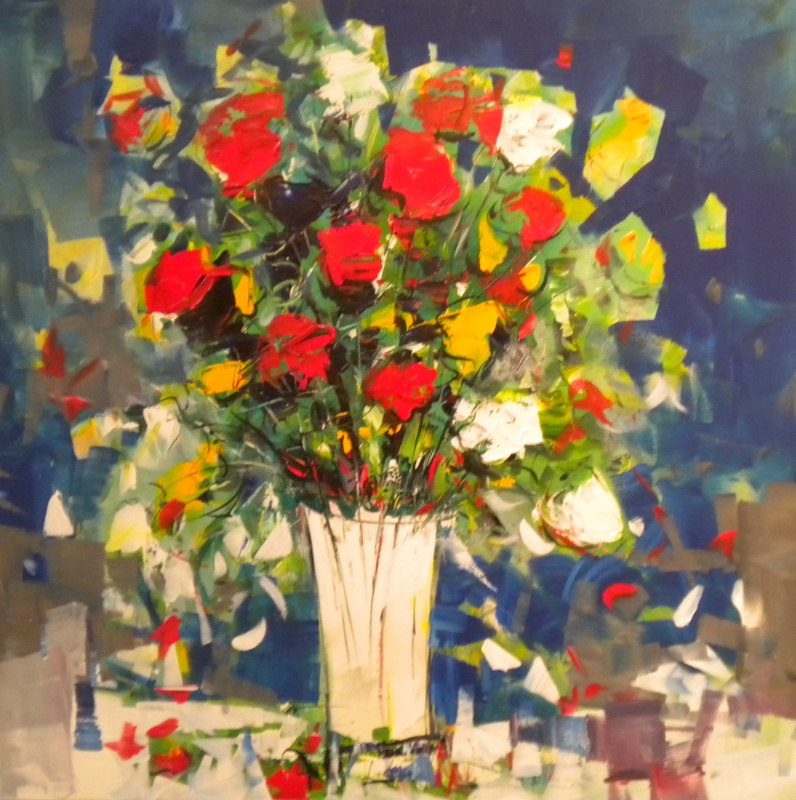 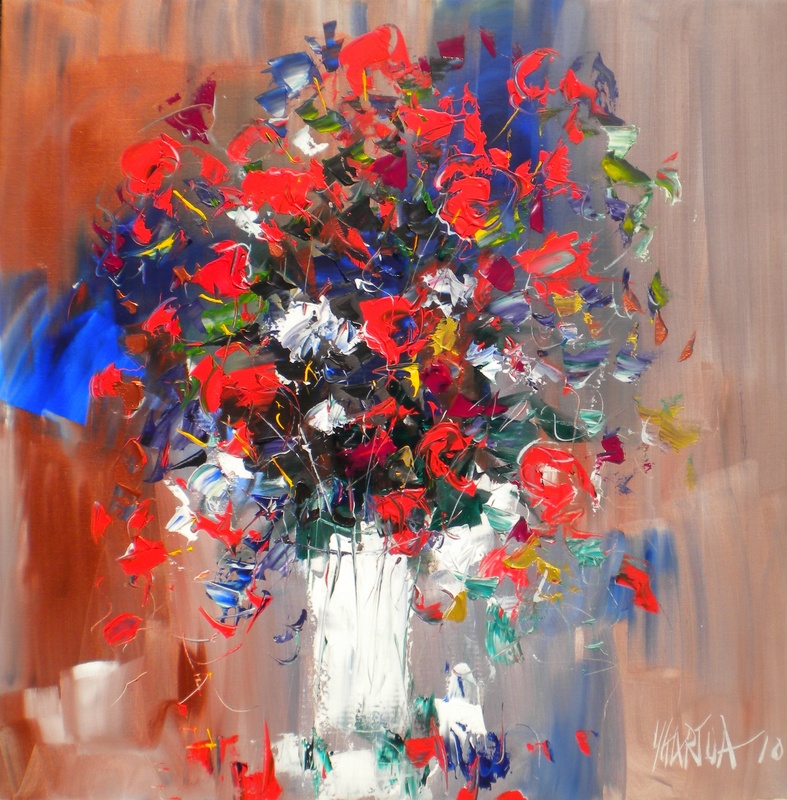 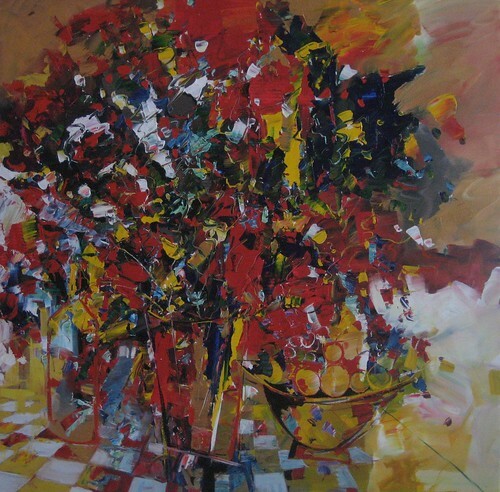 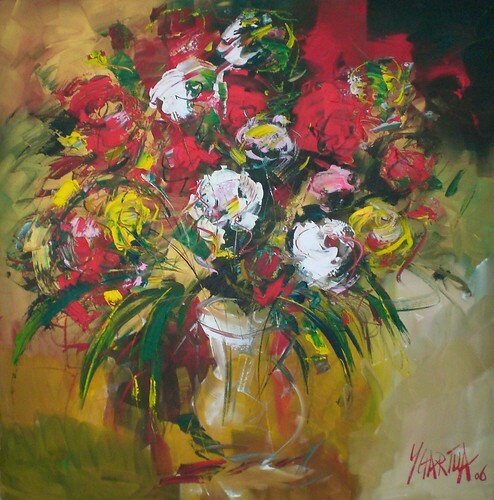 I never enjoyed painting flowers, but then one day I started a new approach, first thinking of the colour more than the form and suddenly I found the freedom I was looking for. 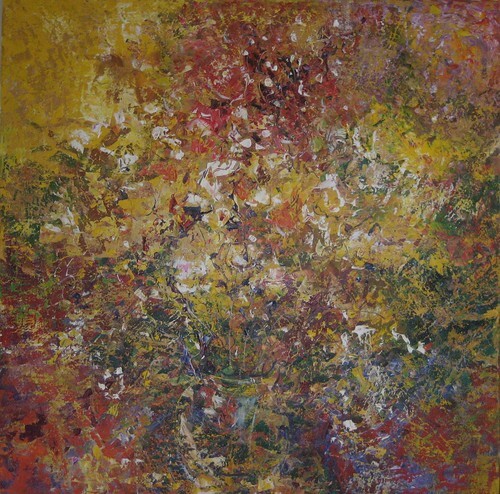 I just threw on the paint, similar to an abstract, it is more the feeling, a movement that starts to bring all the colours together. Nature is my guide, my inspiration–to paint the most unique flower combinations, working with vivid, exciting colours and thick paint to create a third dimension; giving you the illusion of entering a world where all the colours and joys of nature are experienced.